Much love to an OC native. 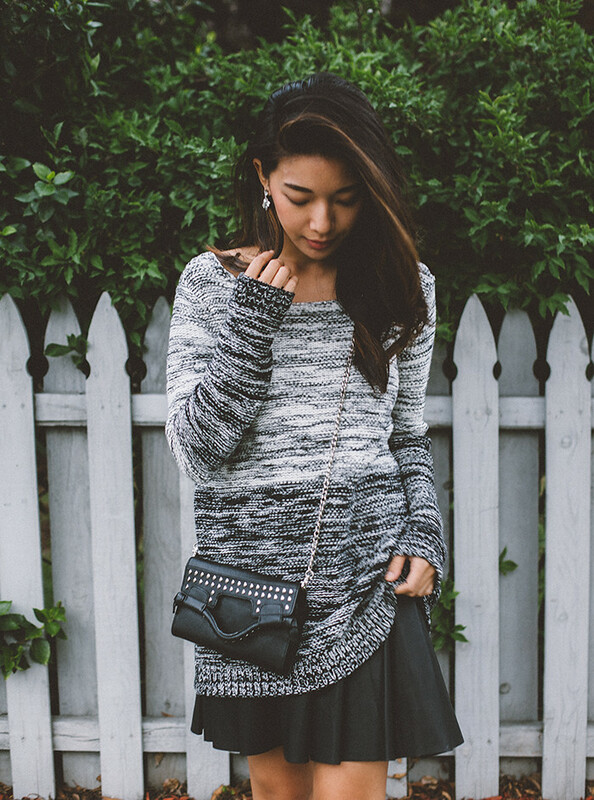 BB Dakota sweater. BB Dakota skirt. Foley & Corinna bag. Miu Miu flats. Ever since high school, I've relied on BB Dakota for cool, wearable pieces that stand out among the flood of uber fast fashion, even in its early days. It's lovely to see how much this local Orange County brand has grown side-by-side, like your best friend continuously maturing and getting better and better. Their designs are sophisticated with attention to unique details and while they play with trends, they elegantly combine trendiness with the classics. 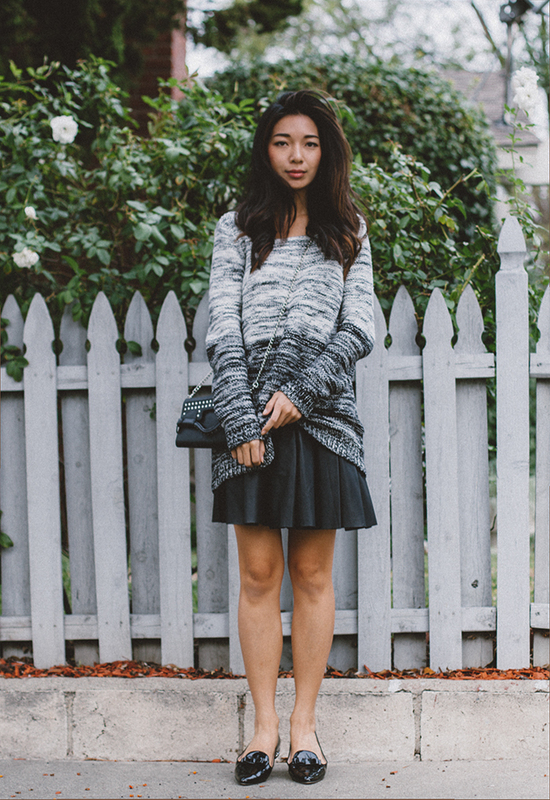 This heavy knit sweater of theirs is something I've been living in since the first hint of cold set in, and I paired it with their pleated leather skirt for a cozy feminine look for bringing your laptop to the cafe. Love that sweater! Looks super comfy too!